Pittwater Council, as part of the process entailed and outlined as required by the IPART Terms of Reference etc., held one of many events and consultations it is undertaking with the community at present. Pittwater has always had a community consultation process anyway; whereby residents will speak with their Councillors in the street or telephone them to discuss a matter. Pittwater is an open community and everyone has always been encouraged to address any matter or raise any questions with their elected representatives both informally and formally. An adjudicated Public Meeting held on Tuesday this week was held to give residents an insight into the process and timetable for submissions that must be tendered to IPART as part of the NSW Government’s ‘Fit For The Future’ proposed reforms and to ask what residents want. Speakers from the community gave short presentations, everyone was invited to ask questions about any part of the process and at the close of the Public Meeting a Motion was presented. That there be no change to the Council or the boundaries of Pittwater without "community support". And amended this by calling for reaffirmation of the Government’s pledge that there be no forced amalgamations. There was also a call for Hon. Robert Stokes to resign should he not wish to stand by those he was elected to represent, or ‘if he’s not going to stand in our corner, beside us’. This too received resounding applause and calls of “Hear Hear” from the packed room. 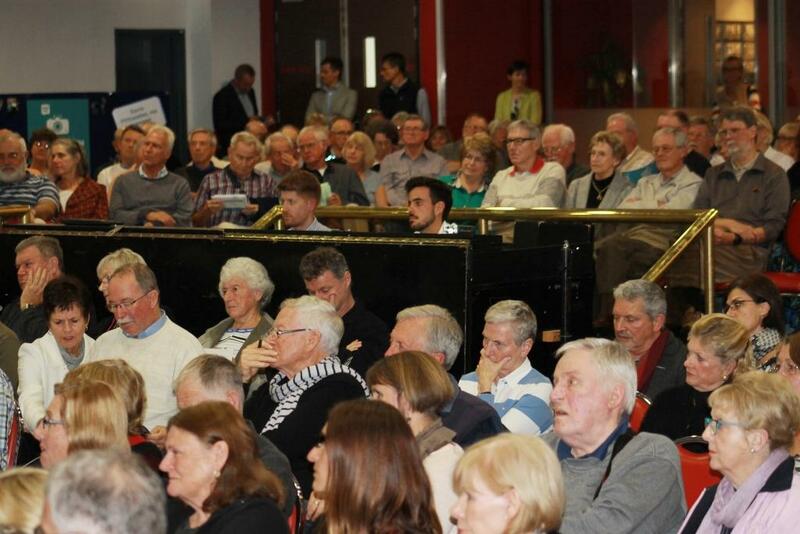 Mr. Stokes, is a popular local MP, but the community is adamant that it wishes to remain the Pittwater Council, a Local Government, not become a Regional one, and will not be tricked by increments into acceding to a ‘Buck first’ approach or by anyone stating ‘this is your starting point’ to answer the question asked – the answer was ‘no’ at Dee Why, however that result was then reported, and remains so. A general opinion that Pittwater residents don’t want to see poor Warringah Council split between themselves and Manly (as per 'start point' divisions) elucidated into an understanding that it is not the Local Government Councils who should be at each other’s necks, making sensationalist statements in line with current propaganda, but that they should stand together and turn any anger produced by the process now imposed, of which every rate payer is footing the bill for in reports, analysis, submissions &c., on the State Government itself. Historically Northern Beaches people stick together – at National Surf Life Saving Carnivals all members of all clubs sit under the one tent and yell just as hard for someone from Manly LSC as they do for someone from Palm Beach SLSC. It’s in our blood. There were also calls to stick up for every other little council that may disappear, citing Lane Cove, which was taken as the inspiration to breakway from Warringah in the first place, as one of great merit and example. 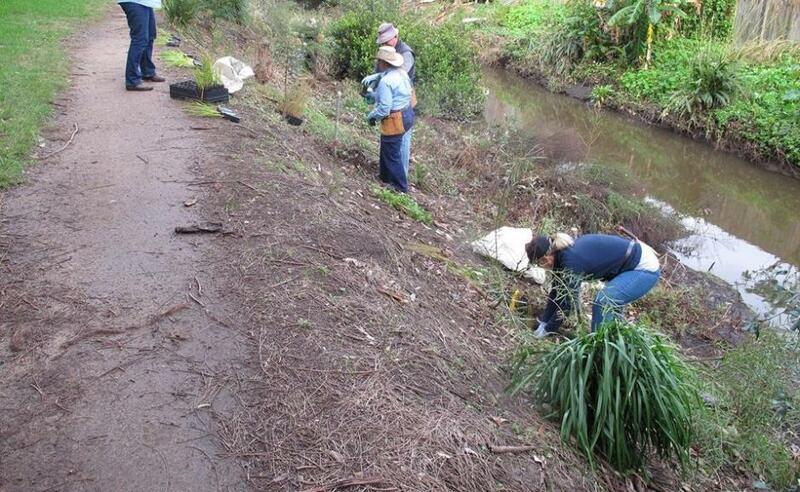 PNHA at work on Careel Creek banks - May 23rd, 2015 - Picture supplied. We planted 280 shrubs and sedges along the creek today. Thanks to all our volunteers and to Zac and Susie, doing the Duke of Edinburgh Award. If you missed today, on Saturday June 27 we'll plant further down the creek at a site to be confirmed. A Mini-grant from Greater Sydney Local Land Services is funding this planting and community engagement project. 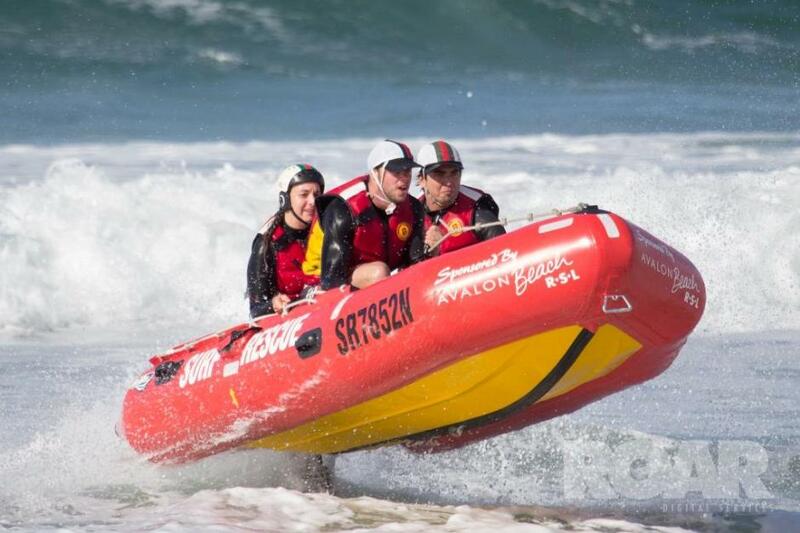 Inclement weather forced the cancellation of the opening weekend of the 2015 Inflatable Rescue Boat (IRB) Premiership Series at Caves Beach, and allowed teams of racers fronting up for the second round at Windang on the Illawarra Coast to complete only 29 out of the 85 races scheduled, but next weekend at Terrigal, a more sheltered beach, should allow extra races to be run. Minister for Education Adrian Piccoli and MP for Pittwater Rob Stokes with Pittwater High School students on Wednesday this week. 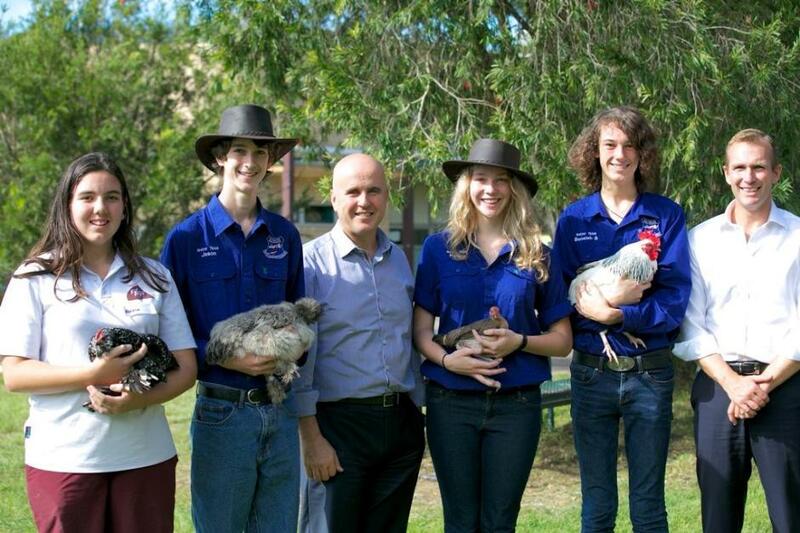 Pittwater MP Rob Stokes and Minister for Education Adrian Piccoli visited Pittwater High Schoolon Wednesday this week where Mr. Piccoli announced the first seven NSW public schools selected to lead the way in the future delivery of agricultural education. “The teachers at these schools will now play a mentoring role with their colleagues in other schools across the State,” Mr Piccoli said. “Agriculture contributes around $9 billion to the NSW economy every year and it is critical that we have relevant, high-quality agricultural education and training.